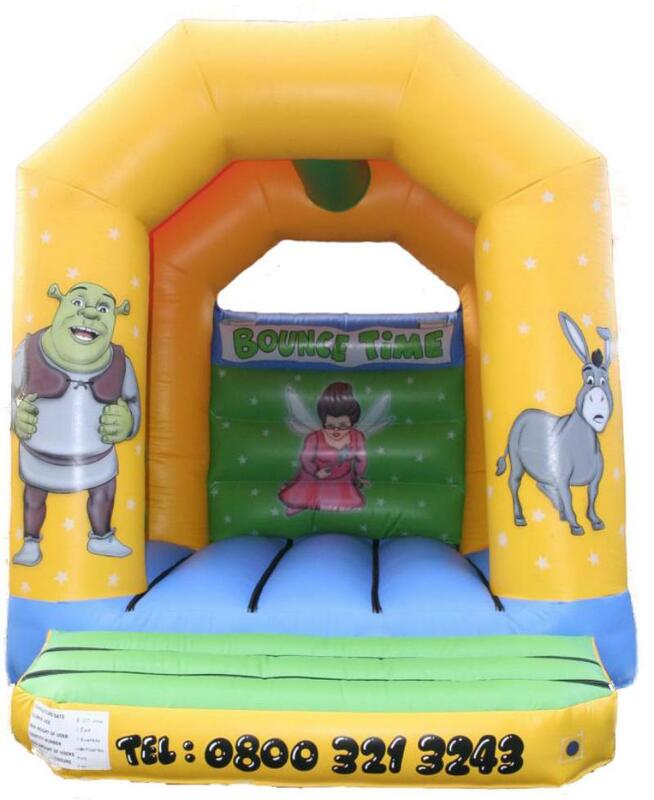 Shrek - bring everyones favourate oger to the party with this unisex castle, Join Shrek, Donkey and the fairy godmother for a bouncy good time. Everyone love this little beauty. and it is ideal for all types of parties and events. (w)14t x (d)19ft to allow for the inflation tube and air blower at the back of the bouncy castle, and safety mats at the front.